As one of the essential parts of a house, a bathroom should be made as comfortable as possible to use every single day. Overtimes, you will need to remodel your bathroom due to several reasons. Therefore, remodeling a bathroom is always a considerable project to do every time you want to do some improvement to your house. It’s a room that you can’t miss to enhance to make your home a good place for everyone. 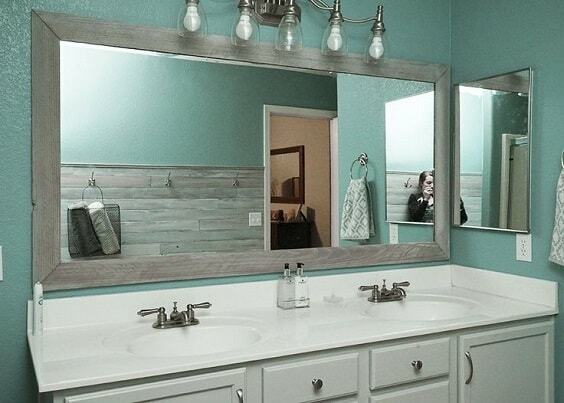 But, how much is the average cost to remodel a bathroom? Will it be so expensive? 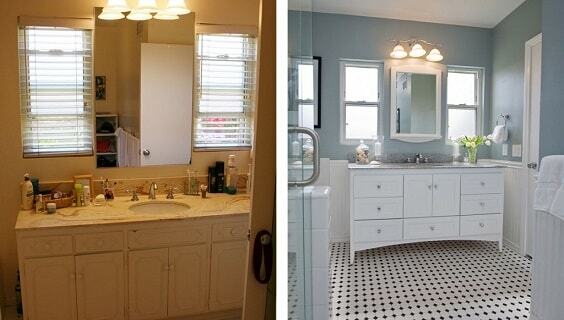 What should I do if you have the limited budget to remodel your bathroom? Well, here we have a brief and complete guide to the average cost to remodel a bathroom which you can consider to keep in mind before taking a final decision. Let’s just keep scrolling to see what we have summarized for you. First thing first, the average cost to remodel a bathroom always depends on what you are going to do with the room itself. The budget that you have to spend will relate to how much the change that you want to give to your bathroom. Averagely, many homeowners spend around $10,000 or between $5,000 to $15,000 to remodel their bathroom. 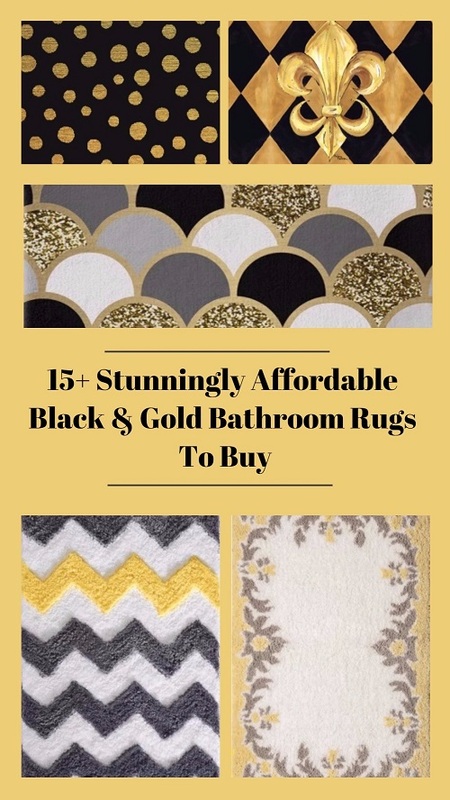 But, you can actually spend only $3,500 if you only need a very small change for your bathroom. Below, we breakdown the detail of average cost to remodel a bathroom to ease you to determine the budget that you have to prepare. The first consideration in calculating the average cost to remodel a bathroom is determining what kinds and how many bathroom fixtures that you will need. Sinks, toilets, shower are some essential bathroom stuff that you have to include on your shopping list. $50 – $300 In this range, you can buy a pedestals sink, the one which is design with its legs. You won’t have to buy the additional cabinet and it works best for the small bathroom. 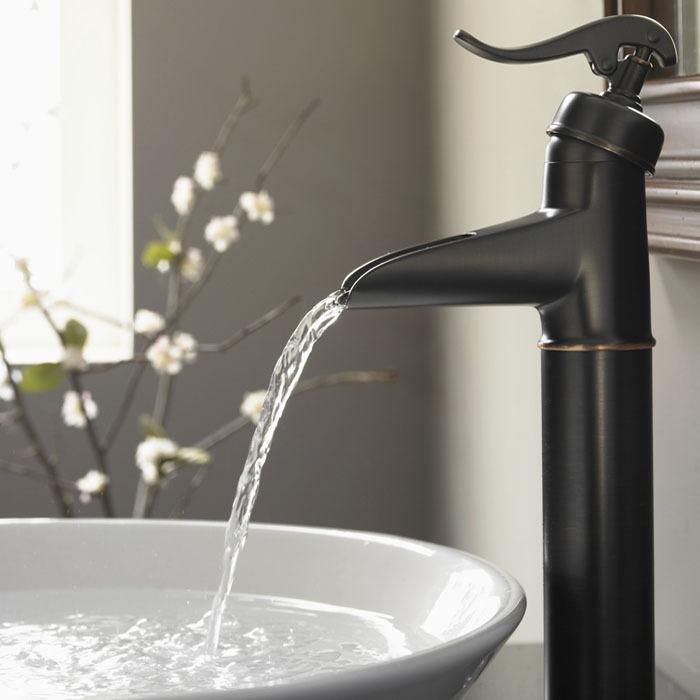 $90 – $600 This is the average cost to purchase a wall-mount sink, a more practical and versatile one among all the others. Wall-mount sink is also the space-saving kind. $100 – $700 The consoles sink is sold at this price range; it has a great durability and stylish design. You can also have the one which designed with an open storage. $2,000 – $5,000 It’s a complete sink or the one with the cabinet. It provides a very convenient spot which doesn’t only work as a sink but also great storage. 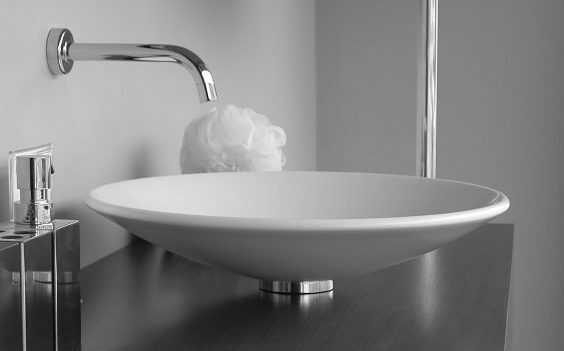 It may be pricey but it’s enough to give the essential function in your bathroom. The two-piece 12-inch toilet is still the popular choice of all types which can cost from $100 to $300. 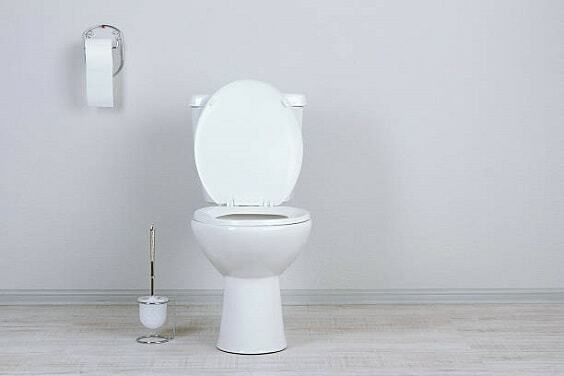 You can purchase the one-piece toilet with a more complicated design which can be offered at $300 up to $900. 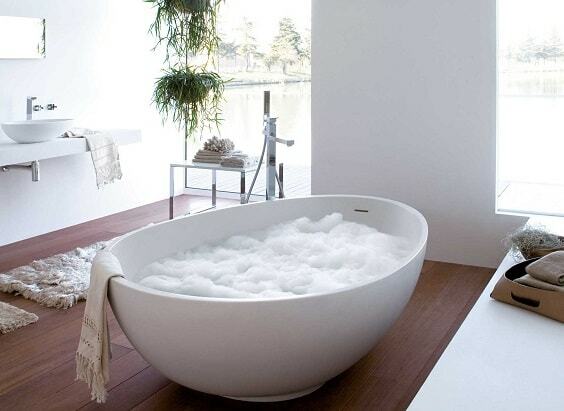 The alcove bathtub (which is installed with the shower) is the most popular option which is chosen by many homeowners. They are sold in various sizes and designs, which can cost from around $300 – $1000. A more sophisticated type of hot tub which the stand-alone one can cost from $750 up to $3,000. The design is the main factor which makes it more expensive to buy. Moreover, if you want to install some jets, chromotherapy, and air bath system, the price can increase to $5,000. If the alcove bathtub doesn’t suit your needs, you can choose the thermostatic shower valve or the stand-alone one. They can cost you from $550 up to $1,000. 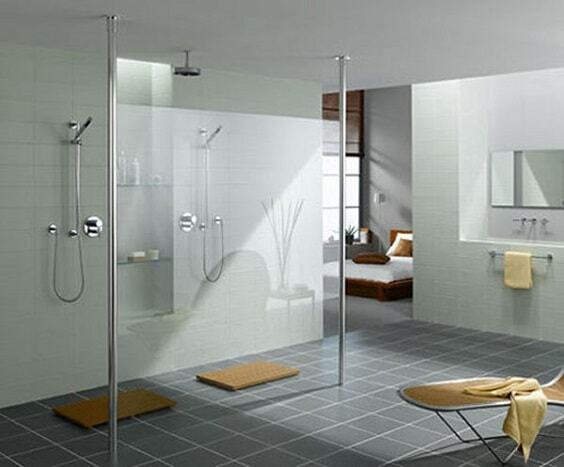 In addition, you may need to install a shower door in which the price will mostly depend on the material and design. It’s available from $500 up to 2,000. 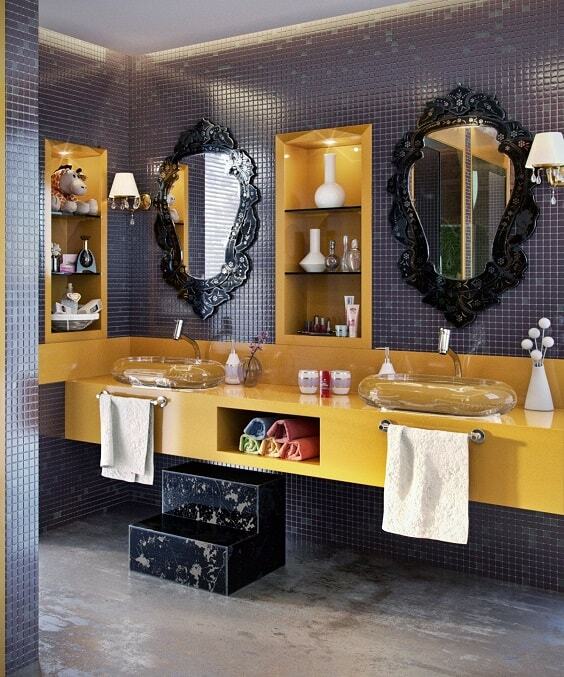 A vanity has become a must-have thing for every bathroom due to its great function and stylish design. 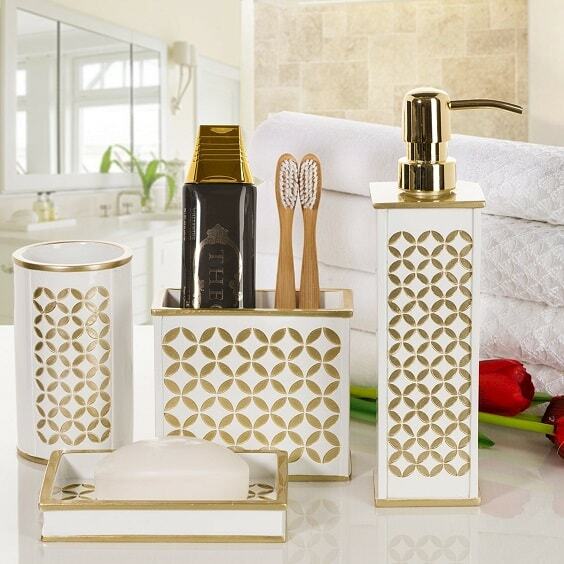 It provides a convenient storage to store your toiletries and bring the style of your bathroom to a whole new level. The price will depend on the size, design, and material of the vanity that you are going to purchase. You can go with the smallest one with 18-inch sink base dimension which can be offered as low as $200. 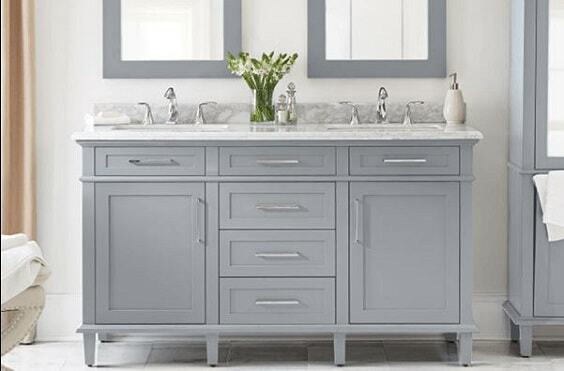 Furthermore, the cost will increase to $20,000 if you are willing to buy a high-grade vanity. They are made of high-quality materials and sophisticated design. 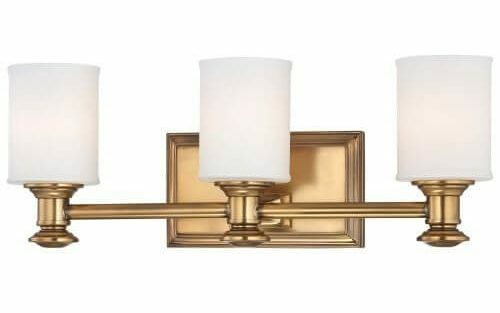 Since most bathrooms don’t have enough source for natural light, installing the proper lighting is so necessary to do. 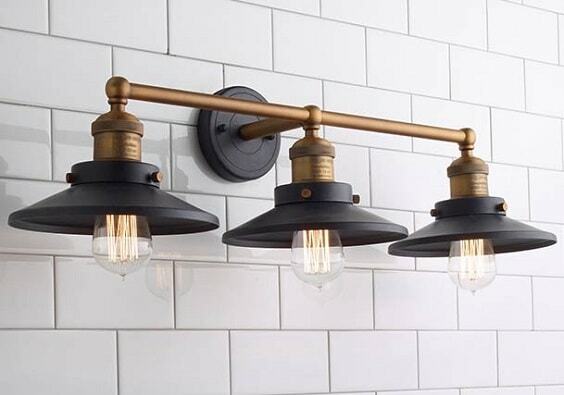 There are some lighting types that you have to install to provide the best bathroom experience every single day. 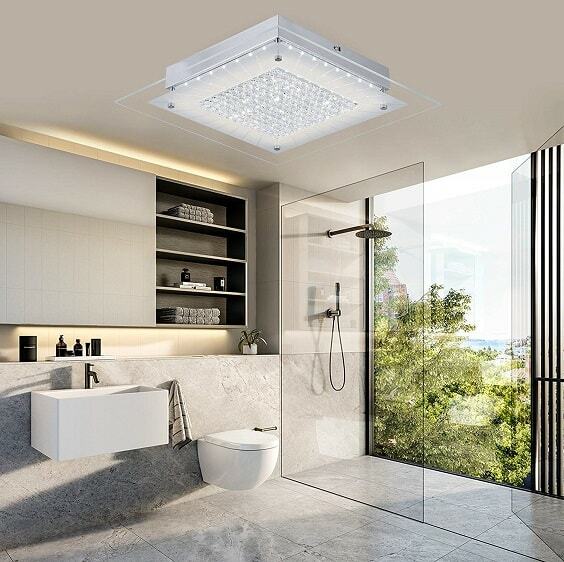 The shower light which works to lighten up the shower area will cost you from $15 to $50, and the sconces to brighten up the shower area are commonly offered at $15 to $300. Then, you can also consider buying the light/fan combination to illuminate and dehumidify your bathroom at the same time which can cost from $50 to $150. 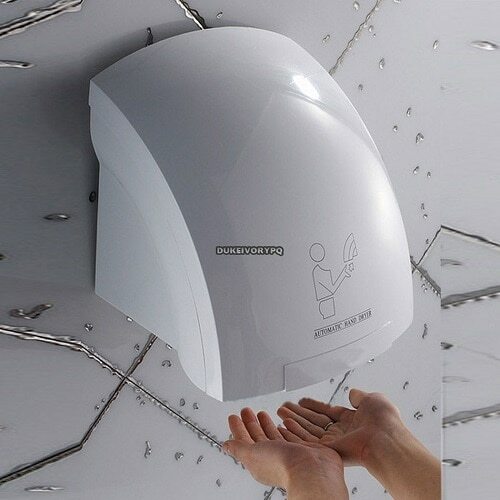 The fan is an essential fixture that you have to install in your bathroom. 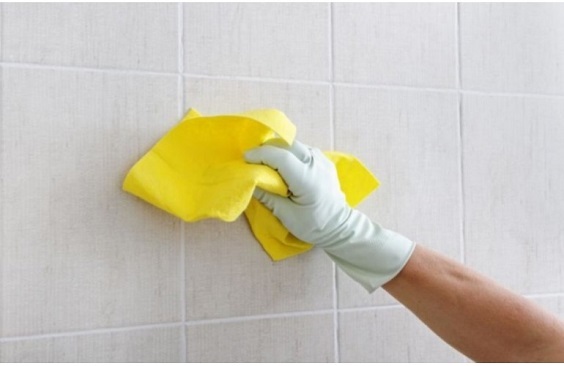 It will keep the moisture of the room and prevent the mold and mildew disaster. 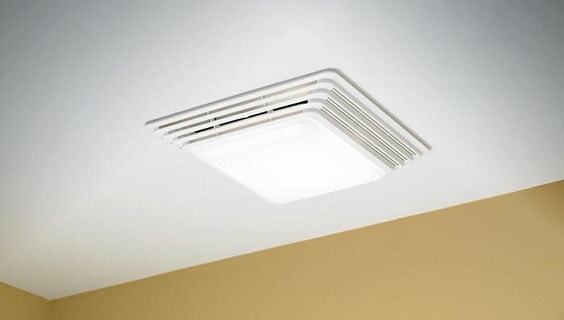 You need to spend $50 up to $200 to purchase a bathroom fan which is commonly designed with the light. An additional yet essential stuff to make your bathroom properly enjoyable is the mirror. The most important one is the mirror for the vanity which can cost from $30 to $300. Ceramic Tile – The cheapest option for bathroom tile which is offered at $1 to $5 per square feet. They can be applied to walls and flooring. 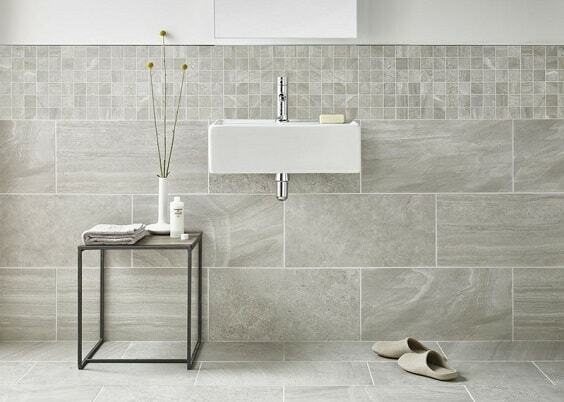 Porcelain Tile – The beautiful kinds of tile which work very well to cover both the walls and floorings. You will need to spend around $1 to $20 for the porcelain tile. Stones Tile – This kind of tile includes marble, granite, limestone, travertine, and limestone which are offered from$5 to $20. The natural stones are suitable for walls and flooring. Large Format Tile – For you who have a small narrow bathroom, this kind of tile is the ideal option to buy. It can cost from $5 to $20 per square feet. Glass Tile – The most expensive option among other tile types which are commonly offered at $20 to $30. Glass tile is mostly available to cover the bathroom wall, but some types also work well for flooring. The last but not least to calculate the average cost to remodel a bathroom is the cost to pay the labor. It’s divided into the particular jobs that they offer. Plumbers – The cost to pay the plumbers for one our work is around $45 to $65. Electricians – The average cost to pay the electricians is $65 to $85 per hour. 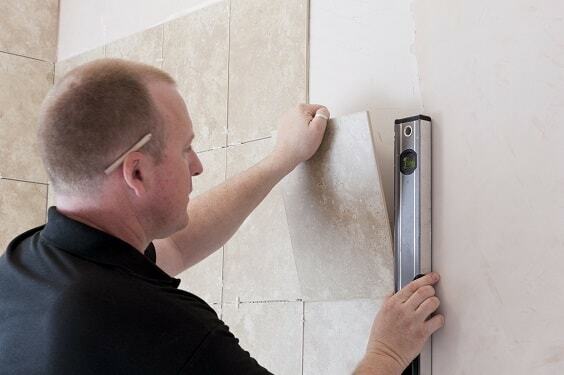 Tile Installers – You will need to pay the tile installers starting from $5 – $10 for every square foot. In conclusion, the average cost to remodel a bathroom is generally divided into three sections which are the budget for bathroom fixture, tile, and labor. It may increase a lot if you would like to give some additions to your bathroom like Bluetooth devices, towel warmer, or TV. Therefore, if you want to save your budget, it’s better to determine which parts which really needs to be improved. Then, you can have a brand new bathroom which looks and feels so inviting for everyone. Since a bathroom has such damp and wet environment, it will experience changes in its overall look due to the existence of mold and mildew. Of course, this circumstance also affects a lot to the comfort that you will get. 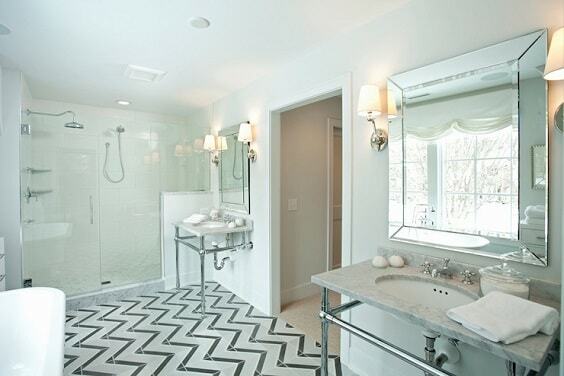 Then, the style of the bathroom keeps moving from time to time. 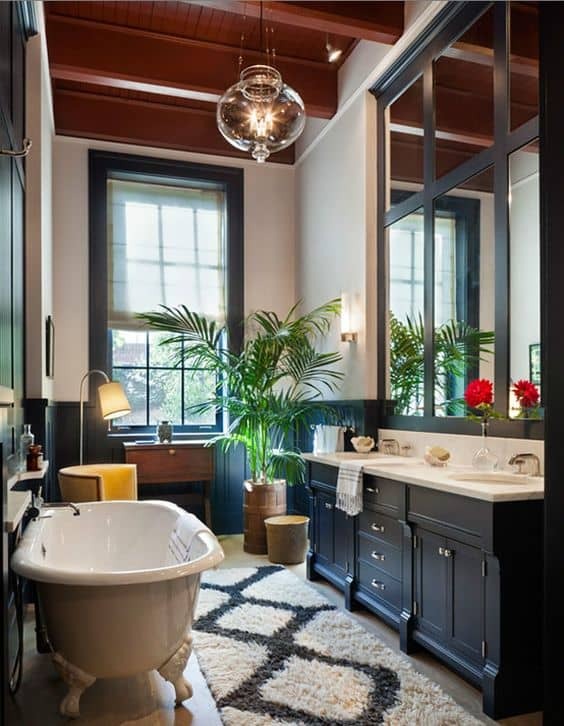 The trend of a bathroom layout this year will not be the same with one from the previous years, and it’s your obligation as the homeowner to have an up-to-date look for your own bathroom. Furthermore, as the members of the family may be increased in numbers, you will need a bathroom which is able to cope with everyone’s needs. You obviously can’t have a bathroom which doesn’t provide a good convenience to enjoy. Eventually, happy remodeling your bathroom!